Hari ini kita mungkin tak peduli tentang harga perak sebab tak ramai yang tahu bahawa perak juga sangat berharga & ia juga adalah matawang yang pasti menguntungkan jika kita mula menyimpannya mulai sekarang. Silver? eehh …kenapa silver pilihan ku? -kenapa aku beli silver, sebab harga silver masih mampu aku nak beli. -kenapa aku beli silver, sebab dirham dibuat dari silver. 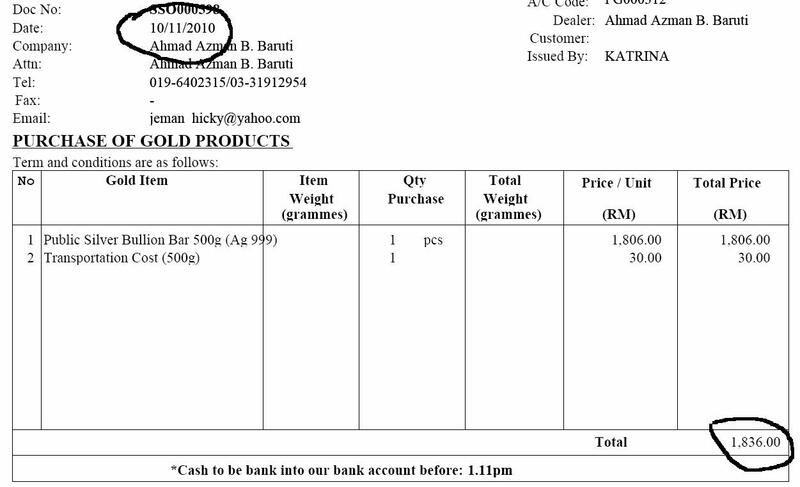 -kenapa aku beli silver, sebab silver adik beradik tiri dengan emas. Haa….CUBA TENGOK INFO KAT BAWAH NIH! Cuba bayangkan dalam diam kita tanam ubi….berisinya menjadi-jadi….kenaikannya hampir 47% dlm 3 bulan! Nak beli silver? senang saja, call kak Aida 012-3399034 atau mana2 sahabat di listing sebelah tu. The most important thing you need to know is that silver is the single best investment for the next decade. In the opinion of the National Inflation Association (NIA) investing in silver is the only sure way to tremendously increase one’s purchasing power over the next ten years. Throughout world history, only ten times more silver has been mined than gold. If you go back about 1,000 years ago between the years 1000 and 1250, gold was worth ten times more than silver worldwide. From year 1250 to 1792, the gold to silver ratio slowly increased from 10 to 15 and the Coinage Act of 1792 officially defined a gold to silver ratio of 15. The ratio remained at 15 until forty-two years later when the ratio was increased in 1834 to 16, where it remained until silver was demonetized in 1873.. The gold to silver ratio remained between 10 and 16 for 873 years! It is only over the past 100 years that the gold to silver ratio has averaged 50. History will look back at the artificially high gold to silver ratio of the past century as an anomaly, caused by the dollar bubble and the world being deceived into believing that fiat currencies are real money, when in fact they’re all an illusion. This fiat currency experiment will end badly in a currency crisis. The wealthiest people will be those who bought silver today and were smart enough to research and pick the best silver mining stocks..
Why Gold Could Go Even Higher? Back in the late 1990s, there was a raft of books calling for the Dow to reach 30,000 or even 100,000. Looking back on it, it seems crazy. But such things are natural during bull markets. Interestingly enough, book titles can be an indicator that a bubble is about to burst. When it comes to gold, we are starting to see something similar. For example, a recent book called Hard Money makes the bold prediction that gold will eventually hit $10,000 per ounce. It’s inevitable that we will see other titles hit the market soon. But in the case of Hard Money, the author is not a crackpot. He actually manages the GBI Gold Fund and is the head of Global Research at the Teacher Retirement System of Texas. He even convinced the pension fund to take a major stake in gold in 2007. True, there are many top-notch analysts who have made bad calls. Not many saw the collapse of 2008, right? But in the case of gold, there are certainly strong arguments why the price can go higher. However, there will need to be some key drivers. One factor is that the global economy will need to remain volatile. Unfortunately, this seems to be likely. With the latest round of quantitative easing from the Federal Reserve, the printing of dollars continues at an alarming rate as the budget deficit continues to expand. The debt explosion is not just in the United States, but also in Japan and Europe. The problem is that it becomes nearly impossible to pay off these debts with onerous tax hikes. In its place, governments will instead rev up the printing presses and monetize the debt. The upshot is inflation. This is what happened to the world economy during the 1970s, in which gold spiked 23 times its value. Nak buat presentation sendiri tapi…. Kalau anda perlukan bahan untuk buat presentation tentang Mengapa Anda Perlu Menyimpan Emas download slide ini & ia pasti akan membantu anda. Bagi mereka yang masih menunggu harga emas jatuh baru nak mula menyimpan & menambahkan kekayaan melalui emas boleh terus menunggu tetapi yang pasti harga emas tetap akan terus naik (mahal). Apakata anda buat tindakan sekarang & tunggu beberapa bulan lagi….. harga emas akan TERUS meningkat…. & anda boleh nampak keuntungannya. Adalah lebih berbaloi menunggu sambil menambahkan wang daripada menunggu harga emas jatuh tetapi langsung tidak mendatangkan hasil! 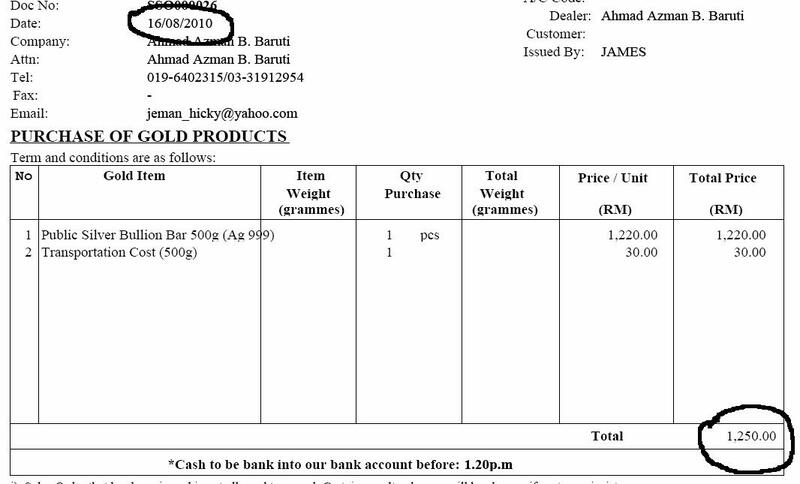 Ingin jadi pengedar Public Gold & mula berniaga emas (sekurang-kurangnya kita boleh jadi pembekal emas fizikal kepada ahli keluarga kita)? Dinar dan Emas sebagai Pelindung Kewangan. Public Gold sekali lagi akan menganjurkan seminar yg akan membantu kita mempelajari banyak maklumat berkenaan emas, sistem kewangan, peranan dinar emas dan banyak lagi ilmu-ilmu menarik yang sewaktu dengannya. Sebelum ini, Public Gold pernah juga menganjurkan seminar seumpama ini yang bertajuk Seminar Krisis Kewangan dan Peranan Emas. kalau nak tahu mengenainya di sini (klik sini). Memang sangat berilmu dan bermanfaat. Untuk seminar ini, terdapat 5 penceramah yang diundang khas untuk berkongsi ilmu dengan anda. Kelebihan datang ke seminar ini? Sebenarnya Majlis ilmu seperti ini sangat jarang-jarang ditemui. Ia akan memberikan kita ilmu yang tidak ternilai harganya. Mungkin ia akan memberikan kita satu perubahan paradigma mengenai keistimewaan emas, peranan emas dan apa yang berlaku di dunia pada hari ini.